<h2>Record-breaking solar cells get ready for mass production</h2><br /><p>‘There is currently a lot of excitement about passivating contacts among the solar cell community,’ said Dr Byungsul Min at the Institute for Solar Energy Research in Hamelin (ISFH), Germany. This year, the technology allowed his laboratory to set a new record efficiency of 26.1% for the kind of solar cells that dominates the photovoltaics market. Commercial solar panels currently operate with an efficiency of around 20%.</p> <p>Passivating contacts consist of two thin layers of oxidised and crystallised silicon sandwiched between a solar cell and its metal contact. Speaking to a packed hall this September at the European Photovoltaics Solar Energy Conference in Brussels, Belgium, Dr Min said that the layers work by healing broken atomic bonds on the silicon surface and reducing the risk of electric charges getting trapped as they flow out of the solar cell.</p> <p>The design was developed in 2013 by ISFH and the Fraunhofer Institute for Solar Energy Systems ISE in Freiburg, Germany. In recent years, it has driven the energy conversion efficiency of silicon photovoltaics above 25% - a ceiling that had limited the efficiency that researchers could achieve in the lab for over a decade.</p> <p><strong>Mass fabrication</strong></p> <p>Still, Dr Min says that few manufacturers have so far adopted passivating contacts in industry. As part of a project called <a href="https://cordis.europa.eu/project/rcn/205805_en.html" target="_blank" rel="noopener noreferrer">DISC</a>, he is now coordinating work with research institutes and equipment manufacturers across Europe to streamline their design for mass fabrication.</p> <p>Making record-setting solar cells with passivating contacts has so far required costly materials and complex laboratory techniques that Dr Min says cannot be adopted in factory assembly lines. However, by getting rid of these sophisticated approaches and substituting them with tools that are already common in the solar cell industry, the DISC consortium expects to bring down manufacturing costs for the technology.</p> <p>ISFH has notably replaced an expensive and highly conductive indium-containing layer that is deposited on the cell surface to better collect electrical charges out of the passivating contact. By fine-tuning pressure and temperature conditions during production, Dr Min can now form a zinc-containing layer that presents comparable physical properties while using abundant materials.</p> <p> <div class="quote-view quotesBlock quote_horizontal"> <div class="quotesTop"><img src="https://horizon-magazine.eu/sites/all/themes/horizon/images/quotes_top.png" alt="" title="" /></div> <p>‘We have to go to higher solar cell efficiencies.’</p> <blockquote><p>Dr Martin Hermle, Fraunhofer Institute for Solar Energy Systems ISE, Freiburg, Germany</p></blockquote> <div class="quotesBottom"><img src="https://horizon-magazine.eu/sites/all/themes/horizon/images/quotes_bottom.png" alt="" title="" /></div> </div> </p> <p>Dutch equipment provider Meco is swapping complex lithography steps with plating techniques that can metallise the electrical contacts of passivating contact solar cells in throughputs high enough for factory assembly lines.</p> <p>Over the past year, DISC samples have shuttled across France, Germany, Switzerland and the Netherlands as partners play their part in an international supply line. Each laboratory adds a layer of silicon or other materials in which it specialises, gradually building up the stack of semiconductors into a functioning solar cell.</p> <p>‘This August, we completed our first industry-sized solar cells,’ said Dr Min. ‘They have already reached energy conversion efficiencies above 21%.’ This falls within the range of solar cells on the market today.</p> <p>Over the coming year, Dr Min expects that fine-tuning the layers in these factory-friendly devices will help edge their performance above that of the competition. In an industry where a difference of just half a percentage can make or break companies, a technology with a proven potential of over 25% efficiency in the laboratory offers enticing prospects for manufacturers.</p> <p>‘We have to go to higher solar cell efficiencies,’ agreed Dr Martin Hermle, one of the pioneers of passivating contacts at Fraunhofer ISE. His research group is now developing industrial deposition methods for the solar cells produced in DISC, and developing ways of further boosting their energy conversion efficiency in another project called <a href="https://cordis.europa.eu/project/rcn/193777_en.html" target="_blank" rel="noopener noreferrer">Nano-Tandem</a>.</p> <p>‘The cost of solar panels is largely dictated by their surface area. If you can make cells with 30% efficiency instead of 20% or 15%, that really helps reduce the overall cost of solar energy.’</p> <p><img class="@alignleft@" title="Technology developed by two German institutes set a new record efficiency for solar cells of 26.1%. Image credit: Institute for Solar Energy Research in Hamelin." src="https://horizon-media.s3-eu-west-1.amazonaws.com/s3fs-public/IMCEUpload/Zelle-611-2016-2_web-1024x683.jpg" alt="Technology developed by two German institutes set a new record efficiency for solar cells of 26.1%. Image credit: Institute for Solar Energy Research in Hamelin." width="1024" height="683" /></p> <p><strong>33% efficiency</strong></p> <p>Earlier this year, Fraunhofer ISE produced a solar cell that reached a staggering 33% efficiency. Researchers stacked a silicon solar cell that incorporated passivating contacts with two additional solar cells made of more exotic materials, based on elements in the third and fifth group of the periodic table.</p> <p>‘These top cells are good at absorbing blue shades of light, but they are made of comparatively rare elements, like gallium or indium, that are also slower to assemble than conventional silicon solar cells,’ said Dr Hermle. ‘If you want to compete on the mass market, you have to bring the cost of the material deposition down by about two orders of magnitude.’</p> <p>One solution Nano-Tandem is exploring is to use less of them. Fraunhofer ISE has shipped silicon solar cells with passivating contacts to IBM Research Zürich, where project partners are placing solar cells on top of them not as solid layers, but as carpets of wires barely 1000 atoms wide. Startup Sol Voltaics and Lund University in Sweden are developing a potentially cheaper way of manufacturing the nanowires, assembling them from gas molecules as they fly through a tube furnace.</p> <p>Nano-Tandem coordinator Professor Lars Samuelson at Lund University says that the raw materials used are expensive, but that photonic effects in them could turn their economics around. He says that, assembled wisely, manufacturers could in principle use 90% less material without much impact on the efficiency or light absorption of their solar cells.&nbsp;</p> <p>This is the kind of innovative edge that Dr Hermle describes as crucial in keeping European research institutes at the head of solar cell technology. As the market for solar cells skyrockets into <a href="http://publications.jrc.ec.europa.eu/repository/bitstream/JRC108105/kjna28817enn.pdf" target="_blank" rel="noopener noreferrer">11-digit annual figures</a>, Asian competition is increasingly muscling European manufacturers out of business.</p> <p>Dr Hermle says that passivating contacts offer an example of how European industry can remain relevant in the face of global competition. ‘This is a technology that really came from Europe to the solar cell market,’ he said.</p> <p><em>The research in this article was funded by the EU. If you liked this article, please consider sharing it on social media.</em></p> <br /> <img src=”http://www.google-analytics.com/collect?v=1&tid=UA-40077089-1&cid=record-breaking-solar-cells-get-ready-for-mass-production&t=event&ec=republish&ea=read&el=record-breaking-solar-cells-get-ready-for-mass-production&cs=republish&cm=republish&cn=republish&cm1=1" /> This post <a href="https://horizon-magazine.eu/article/record-breaking-solar-cells-get-ready-mass-production.html">Record-breaking solar cells get ready for mass production</a> was originally published on <a href="https://horizon-magazine.eu/">Horizon: the EU Research &amp; Innovation magazine | European Commission</a>. Researchers in Europe are trying to work out how record-breaking solar cells contacts can be mass-produced. 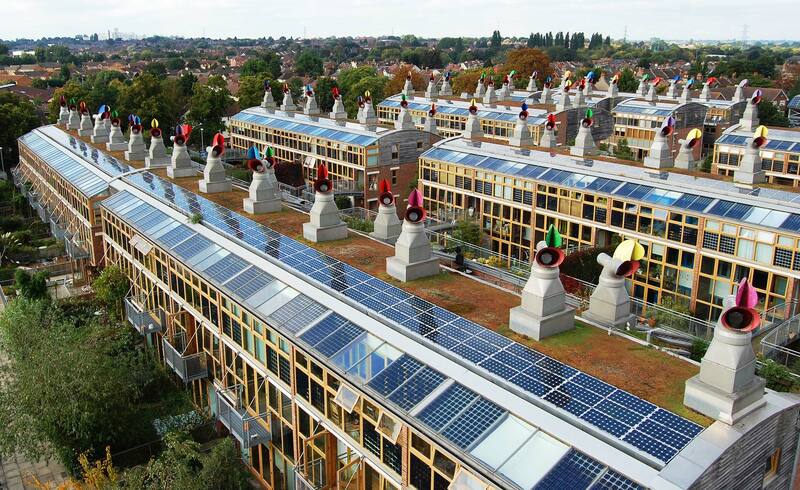 BedZed Eco village. Image credit: Flickr- Bioregional International, licensed under CC. Sandwiching an oxygen-rich layer of silicon between a solar cell and its metal contact has allowed researchers in Europe to break performance records for the efficiency with which silicon solar cells convert sunlight into electricity. But the challenge now is how to make these so-called passivating contacts suitable for mass production. ‘There is currently a lot of excitement about passivating contacts among the solar cell community,’ said Dr Byungsul Min at the Institute for Solar Energy Research in Hamelin (ISFH), Germany. This year, the technology allowed his laboratory to set a new record efficiency of 26.1% for the kind of solar cells that dominates the photovoltaics market. Commercial solar panels currently operate with an efficiency of around 20%. Passivating contacts consist of two thin layers of oxidised and crystallised silicon sandwiched between a solar cell and its metal contact. Speaking to a packed hall this September at the European Photovoltaics Solar Energy Conference in Brussels, Belgium, Dr Min said that the layers work by healing broken atomic bonds on the silicon surface and reducing the risk of electric charges getting trapped as they flow out of the solar cell. The design was developed in 2013 by ISFH and the Fraunhofer Institute for Solar Energy Systems ISE in Freiburg, Germany. In recent years, it has driven the energy conversion efficiency of silicon photovoltaics above 25% - a ceiling that had limited the efficiency that researchers could achieve in the lab for over a decade. Still, Dr Min says that few manufacturers have so far adopted passivating contacts in industry. As part of a project called DISC, he is now coordinating work with research institutes and equipment manufacturers across Europe to streamline their design for mass fabrication. Making record-setting solar cells with passivating contacts has so far required costly materials and complex laboratory techniques that Dr Min says cannot be adopted in factory assembly lines. 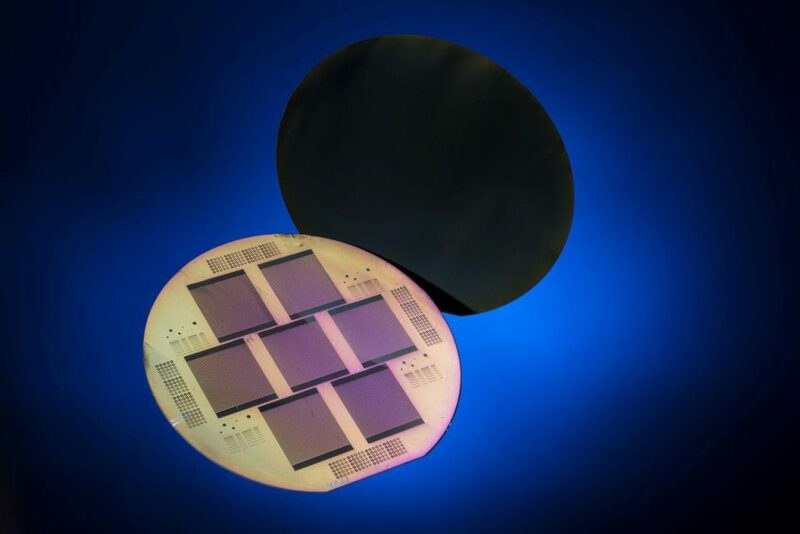 However, by getting rid of these sophisticated approaches and substituting them with tools that are already common in the solar cell industry, the DISC consortium expects to bring down manufacturing costs for the technology. ISFH has notably replaced an expensive and highly conductive indium-containing layer that is deposited on the cell surface to better collect electrical charges out of the passivating contact. By fine-tuning pressure and temperature conditions during production, Dr Min can now form a zinc-containing layer that presents comparable physical properties while using abundant materials. Dutch equipment provider Meco is swapping complex lithography steps with plating techniques that can metallise the electrical contacts of passivating contact solar cells in throughputs high enough for factory assembly lines. Over the past year, DISC samples have shuttled across France, Germany, Switzerland and the Netherlands as partners play their part in an international supply line. Each laboratory adds a layer of silicon or other materials in which it specialises, gradually building up the stack of semiconductors into a functioning solar cell. ‘This August, we completed our first industry-sized solar cells,’ said Dr Min. ‘They have already reached energy conversion efficiencies above 21%.’ This falls within the range of solar cells on the market today. Over the coming year, Dr Min expects that fine-tuning the layers in these factory-friendly devices will help edge their performance above that of the competition. In an industry where a difference of just half a percentage can make or break companies, a technology with a proven potential of over 25% efficiency in the laboratory offers enticing prospects for manufacturers. ‘We have to go to higher solar cell efficiencies,’ agreed Dr Martin Hermle, one of the pioneers of passivating contacts at Fraunhofer ISE. His research group is now developing industrial deposition methods for the solar cells produced in DISC, and developing ways of further boosting their energy conversion efficiency in another project called Nano-Tandem. Earlier this year, Fraunhofer ISE produced a solar cell that reached a staggering 33% efficiency. Researchers stacked a silicon solar cell that incorporated passivating contacts with two additional solar cells made of more exotic materials, based on elements in the third and fifth group of the periodic table. One solution Nano-Tandem is exploring is to use less of them. Fraunhofer ISE has shipped silicon solar cells with passivating contacts to IBM Research Zürich, where project partners are placing solar cells on top of them not as solid layers, but as carpets of wires barely 1000 atoms wide. Startup Sol Voltaics and Lund University in Sweden are developing a potentially cheaper way of manufacturing the nanowires, assembling them from gas molecules as they fly through a tube furnace. Nano-Tandem coordinator Professor Lars Samuelson at Lund University says that the raw materials used are expensive, but that photonic effects in them could turn their economics around. He says that, assembled wisely, manufacturers could in principle use 90% less material without much impact on the efficiency or light absorption of their solar cells. This is the kind of innovative edge that Dr Hermle describes as crucial in keeping European research institutes at the head of solar cell technology. As the market for solar cells skyrockets into 11-digit annual figures, Asian competition is increasingly muscling European manufacturers out of business. Dr Hermle says that passivating contacts offer an example of how European industry can remain relevant in the face of global competition. ‘This is a technology that really came from Europe to the solar cell market,’ he said.